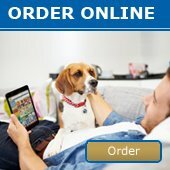 Service Interruption - Queensland and Northern New South Wales - News - Prestige Pet Products Pty. Ltd.
Due to flooding and road closures as a result of severe weather conditions in QLD and Northern NSW, the following Direct Freight services have been affected. It is expected delays of 2-4 days to the above regions. Customers should consider delaying shipments to the above regions. Brsbane, Gold Coast, Sunshine Coast, Ipswich and Toowoomba. The situation is unstable, and this is subject to change, dependant on local conditions and road closures. We strongly advise our customers to check the DFE website www.directfreight.com.au for the latest information. We appreciate your undestanding and patience.